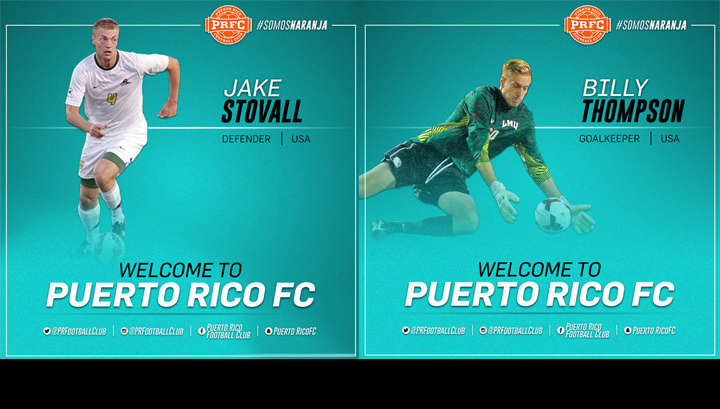 San Juan, Puerto Rico- Puerto Rico FC announces the signings of center back Jake Stovall and goalkeeper Billy Thompson. Stovall was a third-round pick of the Seattle Sounders in the MLS Draft. He is a 6’3” commanding defender who was a crucial part of Wright State’s back line that averaged under a goal conceded per game and won many honors at the college level. He caught the attention and interest of PRFC’s scouts during the Sounders’ preseason for his ability and physical attributes that should make an instant impact with PRFC. Thompson is a 6’6” goalkeeper who’s imposing figure helped him win PDL Goalkeeper of the Year in 2014 while on FC Tucson. He spent last year with USL side Colorado Switchbacks but injuries kept him from performing at his full potential. Thompson will add to the competition amongst PRFC’s goalkeepers and has already impressed the coaching staff during his trial period with the club. 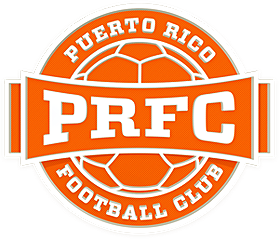 PRFC kicks off the 2017 NASL season Saturday, March 25th at Juan Ramón Loubriel Stadium vs the New York Cosmos. Join the PRFC Founders Club by becoming a season ticket holder before March 25th. Reserved seats season tickets start at $160 which includes access to The Lounge at JRL Stadium. Call 787-722-PRFC to learn more about the amazing benefits Founders Club members have or visit puertoricofc.com/tickets. Taxes and fees apply.